While perusing the utterly fabulous Makeup and Beauty Blog yesterday, I came across a deal that sounded too good to be true. Victoria's Secret Beauty is currently running an absolutely fabulous sale on tons of products -- four pages full of them, to be exact! And the best part? Many of them are available for under 10 dollars! What better way to celebrate Wallet-Friendly Wednesdays than with the products below, I ask you? 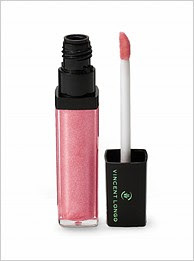 Vincent Longo Diamond Lip Gloss (normally $22, now $8.99): Nine shades of this sparkly, shimmery gloss are up for grabs. My faves are definitely Starlet Pink (glitter-flecked bubblegum), Coral Cabana (glistening peach) and Via Veneto (sparkling cabernet). Lippmann Collection Nail Polish Sampler Kit (normally $21, now $6.99): These sets are absolutely fabulous. Choose from French Manicure, which contains the two perfect French manicure shades and a topcoat; or Red and Pink Shades. Each is packaged in an adorable terrycloth makeup pouch! 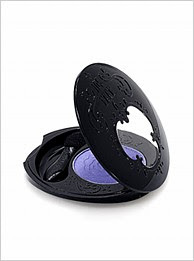 Anna Sui Eye Color (normally $17, now $6.99): I'm always sold on Anna Sui products just on packaging alone ... but these eyeshadows are so fantastic. The 11 hues are all super-pigmented and look so chic and glam inside the black lacquered case embossed with Anna Sui's signature logo. I can't wait to try Feminine Purple, Turquoise Blue and Coral Pink. 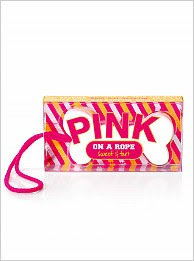 Victoria's Secret Pink on a Rope Sudsy Soap in Sweet & Tart (normally $10.50, now $6.99): Seriously, how cute is this? The combination of pink grapefruit and sugar sounds so delicious for a morning scrub -- and I love the bow-shaped soap that hangs from a vibrant pink rope! Such a fun update to the classic Old Spice soap on a rope. Enjoy the deals and happy shopping! mudiva -- It's too bad the gloss was sold out on VS, but I'm glad you still were able to get it somehow!